As a member of the CE Club we would like to thank you with you an extra special gift offer! 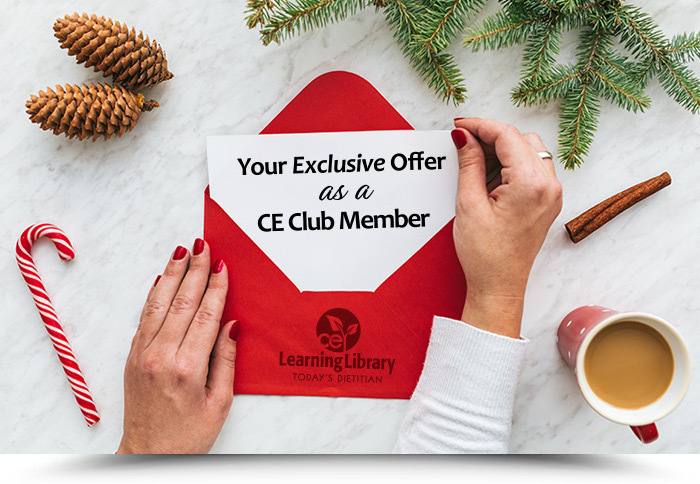 Now through December 31, all CE Learning Library courses, webinars, and packages are an extra 20% off, valid only for CE Club Members. View course catalog for full list of courses. Use coupon code MEMBER18 at checkout. Offer exclusive to CE Club Members and expires December 31, 2018, at 11:59 PM EST.